By the Late Bronze Age, Jerusalem (The City of David) was heavily fortified and covered an area of about 10 acres. Another city, called Shechem, also was heavily fortified in the Late Bronze Age and it covered an area of only about 7 acres. Judges 9: 6 says, "And all the men of Shechem gathered together, and all the house of Millo, and went, and made Abimelech king..." Notice the repetition - "And all the men of Shechem..." - "and all the house of Millo..." This repition occurs again, twice, in verse 20 - "...let fire come out from Abimelech, and devour the men of Shechem, and the house of Millo; and let fire come out from the men of Shechem, and from the house of Millo, and devour Abimelech." The word "house", in these verses, is translated family, household, inside, place... according to Strong's Concordance (1004). The word "Millo" is translated a rampart (as filled in) (4407) and is from (4390) to fill or to be full of, be fenced, fill, full, overflow, fullness, gather selves together, have wholly. "House of Millo" therefore could be rendered "household of full rampart" and is simply a way of repeating "men of Shechem". Millo, in this instance, is a reference to the entire fortified city of Shechem and, being only 7 acres in size, was probably rather crowded at times (full). Now we come to another city which is called Millo in the Bible: the City of David. II Chronicles 32: 5 says, "Also he strengthened himself, and built up the wall that was broken, and raised it up to the towers, and another wall without, and repaired Millo in the city of David." Notice the word "in" is written in italics in the King James Bible. In the back of the King James Bible it states, "The words in italics are words that do not have any equivalents in the Hebrew or Greek text. They are words which have been supplied by the translators in order to make the meaning of the sentence clearer, or in order to make the passage read more smoothly in English." Knowing this, it may be acceptable to read this verse again, omitting the word "in". Now the verse can be read, "...and repaired Millo the city of David". 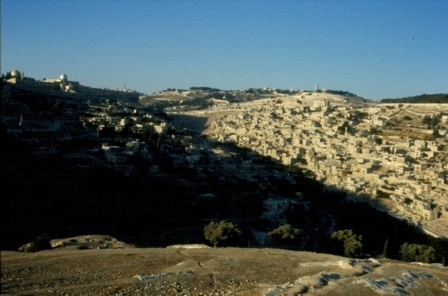 II Samuel 5: 9 says, "So David dwelt in the fort (rampart), and called it the city of David. And David built roundabout from Millo and inward." Interestingly, the word "inward" in this verse is the same Hebrew word used as "house" (three times) in Judges 9 (Strong's #1004)! Knowing this, it is acceptable to read this verse again, changing the word "inward" to "house". Now the verse can be read, "... And David built roundabout from Millo and house". There is evidence of David's building activities to the north of the Jebusite fort ("roundabout"). The Bible states that David built an altar in the "threshingfloor of Araunah the Jebusite" (II Samuel 24:18, 25), and the four-chambered gate in Ophel (which closely resembles the four-chambered gates in Khirbet Qeiyafa) may have been constructed under David's command. It has been shown that the wall, attatched to the gate, predates the tower containing Phoenician ashlars which was built against it in Solomon's time. II Kings 12: 20 also refers to the "house of Millo", "And his servants arose, and made a conspiracy, and slew Joash in the house of Millo, which goeth down to Silla". 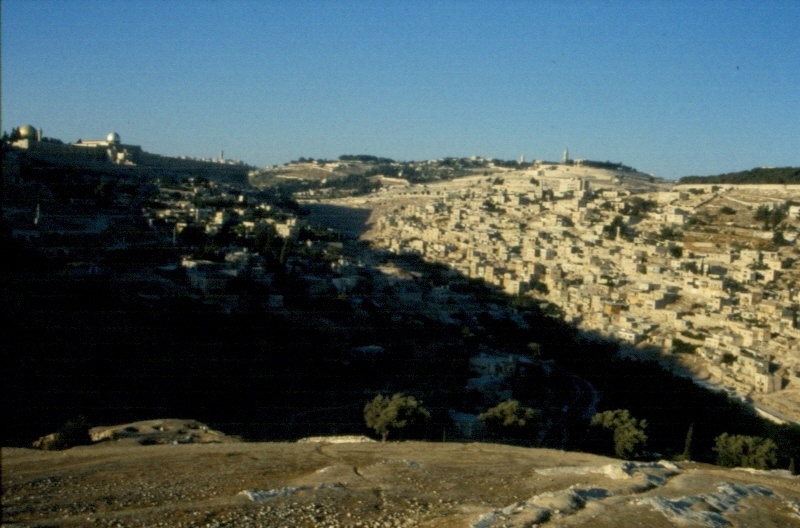 "Silla" is a reference to Silwan which today lies east and south of the City of David. I Chronicles 11: 8 is another example of repetition in a verse, "And he built the city roundabout, even from Millo round about...". "Millo", in this instance, is parallel to "city". Other references to "Millo" in the Bible are found in I Kings 9: 15, 24 and I Kings 11: 27. In every instance we can associate it with the "full rampart" (the entire fortified city). Before the expansion to the north by Solomon, David accurately described the city of David - "Jerusalem is builded as a city that is compact together..." (Psalm 122:3). ​ The word "Millo" is translated "a rampart (as filled in)" (Strong's #4407) and is from (#4390) to fill or to be full of, be fenced, fill, full, overflow, fullness, gather selves together, have wholly. "Millo," as used in Scripture, may refer to the entire walled city of the period. Pray for the peace of Jerusalem: they shall prosper that love thee. Peace be within thy walls, and prosperity within thy palaces (Psalm 122:6-7).